When you retire, your employment income stops, but not your expenses. You still got to pay for your food, your transport and your health care. If you are not lucky enough, you may still have an outstanding mortgage loan to pay. Do you have retirement plans which generate guaranteed passive income to pay off these expenses? The best way to approach retirement planning is to stack up your “Income Sandwich”. It means to prepare multiple layers of passive income streams after your retirement. To achieve this, you need to accumulate Income Generating Assets (IGAs) in your working life. Building IGAs is not as hard as it sounds. In my latest book “F.I.R.E. 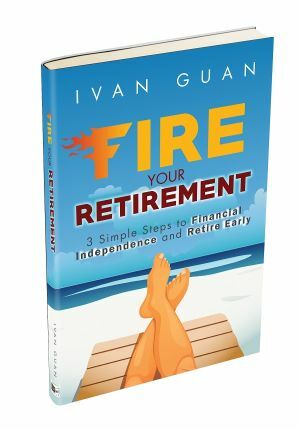 Your Retirement: 3 Simple Steps to Financial Independence and Retire Early“, I have laid out the step-by-step guide to building an IGA portfolio for your own retirement. Most Singaporeans already have an IGA, which is your CPF life. CPF Life is a government scheme which converts your CPF Retirement Sum into a monthly income. But an average Singaporean’s monthly CPF payout is only $948. Is that sufficient for you? One of the best ways to supplement your CPF savings is through a guaranteed income retirement plan issued by an insurance company. Many people overlook the beauty of this because when they think about insurance, they only think about death benefit. Today, I am going to show you 3 best retirement plans and how they can help you achieve your retirement goals. A retirement plan is a savings and investment plan that provides income during retirement. It is created by insurance companies with a defined benefit. For example, an insurance company can say that if you pay them “x” amount of dollars from now till you are age 55, they are going to give you a guaranteed monthly income of “y” dollars from your age 60 to 80 years old. In addition, the insurer will pay you additional bonuses for the investment returns during these years. These bonuses are often referred to as Reversionary Bonus or Terminal Bonus. Guaranteed Acceptance – the insurer should accept your application without loading or other conditions. The same 3G principle can be used to assess other short term endowment plans like China Life’s SaveReward plan. What is the biggest challenge for retirement? It is to have guaranteed income. You can generate income from different sources, but there is no better financial product that can guarantee your retirement income like insurance plans. Why? Because retirement plan is a disciplined process that will compound your small savings into big returns. I recently talked about how you can use SMART goal setting system to achieve your financial freedom and early retirement. To recap, a SMART goal is Specific, Measurable, Actionable, Realistic and Time-bound. If you think about it, an insurance retirement plan has all the 5 elements required to achieve your retirement goals. Specific – A retirement plan specifies exactly how much you can get back and you will know whether you are on target. Measurable – Unlike regular investment plans, the percentage of your return is guaranteed and you can calculate it from day one. Actionable – You can start your retirement plan right now, even if you have health conditions. Realistic – You know exactly how much premium you need to commit and you don’t need a big lump sum to start with. Time-bound – Your premium period and payout period are both pre-defined in a retirement plan. You may say that you don’t like your money to be locked in. But for a long term project like retirement planning, you really need to adopt a simple and systematic approach. Do a partial withdrawal and leave the remaining to continue accumulating. Because the guaranteed income is for your retirement in many years to come. You have to ensure that the insurers having the ability to keep their promise. As a start, these insurers have one of the highest credit ratings in the world. But even if any of them fail, your policy value is protected under the Policy Owner Protection scheme up to $100,000. So which retirement plan should you choose? Here are the major differences between them. AXA RetireHappy is the first inflation-adjusted retirement plan income plan. It means your retirement income will grow at a rate of 3.5% each year to combat inflation. Comparatively, the plan offers the highest Guaranteed Maturity Yield for most scenarios and you can use both cash and Supplementary Retirement Account (SRS) to purchase. One thing you need to take note is that such a plan pays a very high longevity benefit. In the above example, more than $400,000 will be paid when you are age 80. This can be good or bad. If you want to ensure sufficient savings beyond the maturity date, this is good money. But if your intention is to enjoy the earlier years of your retirement, you probably have to move your maturity date earlier. Fortunately, this plan also offers the most flexibilities to suit an individual’s needs. There are total 120 ways of setting up AXA’s RetireHappy plan. But this could also cause information overload. That’s why a proper planning with a retirement planner is important before you embark on any of these plans. Aviva has always been a very innovative insurer. They are still the only insurer who adopts moratorium underwriting for Integrated Shield Plan. Aviva brought in the concept of retirement plans for Singaporeans 5 years ago and named it MyRetirement. Fast forward now, they have revamped the plan and launch Aviva MyRetirement Plus. Similar to AXA’s Retirement Happy, this plan also adjusts the retirement income up by 3.5% each year. The unique part of this plan is that you have the flexibility to withdraw your accumulated reversionary bonuses as you desire so that you don’t have to wait until policy maturity to enjoy these investment returns. Aviva MyRetirement Plus also offers very high Guaranteed Yield. The only problem I face with this retirement plan is that there is only one payout option of 20 years. This could be the hurdle to fit it into some people’s retirement portfolio. As you can see from above, both plans from AXA and Aviva have a maturity or longevity benefit. What if you want to be more comfortable in your retirement? What if you prefer to receive your payout earlier? If there is one thing that can set back your retirement for 10 years, that is long-term care. While you have spent so much effort to build your retirement income, you don’t want your retirement savings to be eroded by hefty costs from severe disability. The unique feature of Manulife ReadyReady is that it doubles your monthly income if you suffer a loss of independence during your income payout period. The plan will also waive your premium if Total and Permanent Disability occurs during your premium payment period. This is the same as the severe disability definition of Eldershield. So if you have not upgraded to Eldershield Supplement plans, it will help protect your retirement income. 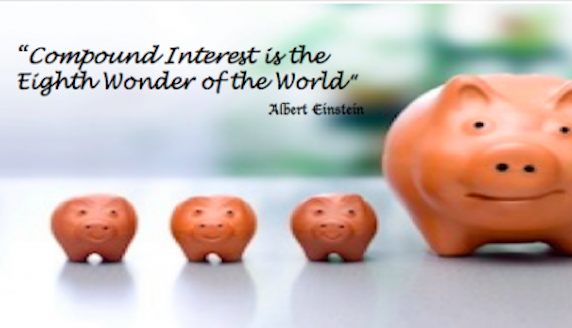 A retirement plan is an essential Income Generating Asset for retirement income. Together with CPF Life, it provides a guaranteed foundation of your retirement income stream. 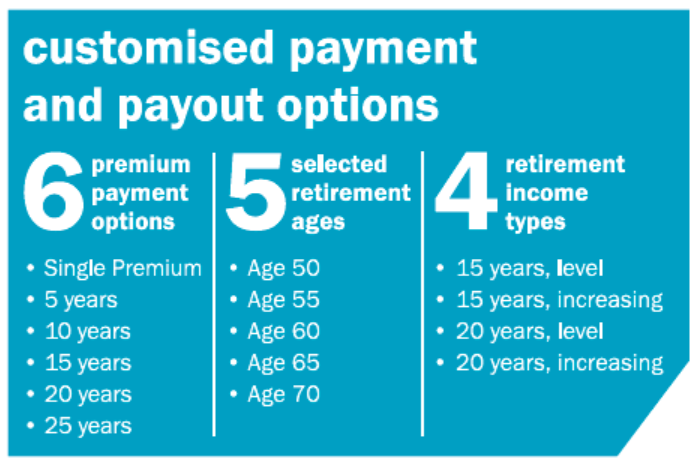 With different premium payment and payout periods, each of the 3 products, AXA RetireHappy, AXA MyRetirement Plus and Manulife RetireReady will generate different outcomes. To make things simpler for you, you can contact me via the form below for a non-obligatory meeting to compare the returns of these plans based on your parameters. If you haven’t upgrade your Eldershield, you should do so to prevent loss of retirement income due to long-term care cost. Retirement planning can be simple but not easy. If you have any question about retirement plans, simply comment below and I will be glad to answer them all. I am age 62 and would like to invest some money so that I can get better returns or an annuity pay out when I reach 72. What are the investment available or insurance plans for me. FD is too low to invest in. There are various of investment or insurance options which I can advise you. But first I need to understand your financial status and personal preference. You can contact me via this form. Would like to liquidate investment-linked insurance policies with whole life and critical illness coverage and buy retirement policies instead. Would you be able to compare & advise with reference to all our existing plans? Are you engaged by any single insurance company? I can help analyse your existing plans, compare and advise other insurance products. I am a licensed independent financial adviser and we do not belong to any insurance company. Hi Ivan, I’m an American citizen who is interested in buying an annuity from a Singapore company. Do they sell to Americans & what companies/plan do you recommend? Many thanks! Hi Linda, there are certain type of insurance which you can buy in Singapore. Please contact me via the contact menu so I can help you analyse which product is suitable for you. With regards to the subject of retirement, I would like to enquire on the subject of retirement. This year, I am aged 45 and I intend to retire at the age of 65. As I have other financial commitments, hence for the time being, I am only able to fork out an additional amount of $200 plus on a monthly basis to start accumulating my retirement funds. So is there any retirement or annuity plan that I can purchase with this amount? I suggest you set your retirement goal first. 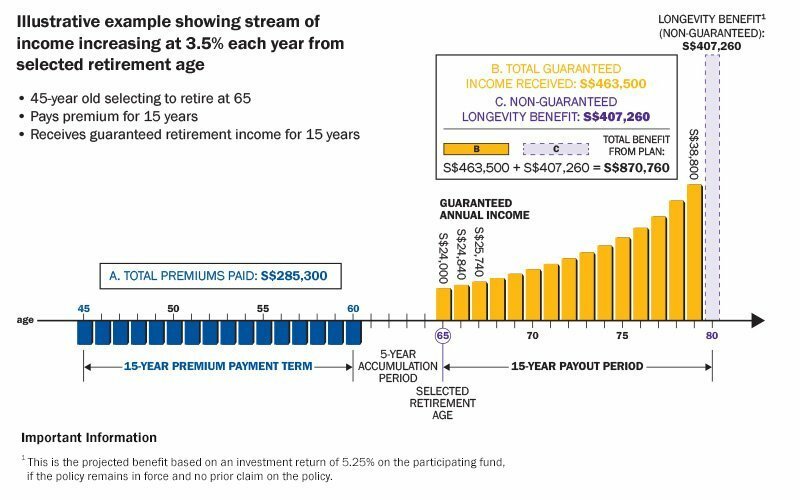 Assuming a retirement plan gives you 3.5% annual return, with $200 premium, you will get around $68,000 in 20 years time (when you are age 65). This amount of fund, if you were to continue to invest with 3.5% return, can give you around $400 per month retirement income for 20 years. Is this what you are ok with? If so, then you can zoom into the choice of plans. If not, you need to re-evaluate your budget for the the insurance or consider other investment options which can give you potential higher returns. My target retirement income: min $1000 monthly, capital guaranteed. Premium payment period: 10 years. Can you please recommend which retirement plan is suitable. From my comparisons I have done for my clients. The return of RevoRetire does not stand out. That is the key reason. What do u think abt prulifetime income? Can buy for retirement? How does assign of policu works? Am i still the life assured after i assign? Different retirement products work on different parameters such as retirement age, payout period, the payout amount, etc. You need to compare different plans in order to get the most suitable product for yourself. You can submit a request using the form in this post for more information. If you assign a policy, you are still the insured, but the owner is the assignee. Why do you want to assign? I am 25 this year, going to start work at 26 after graduation. Not sure if you could give me any advice. 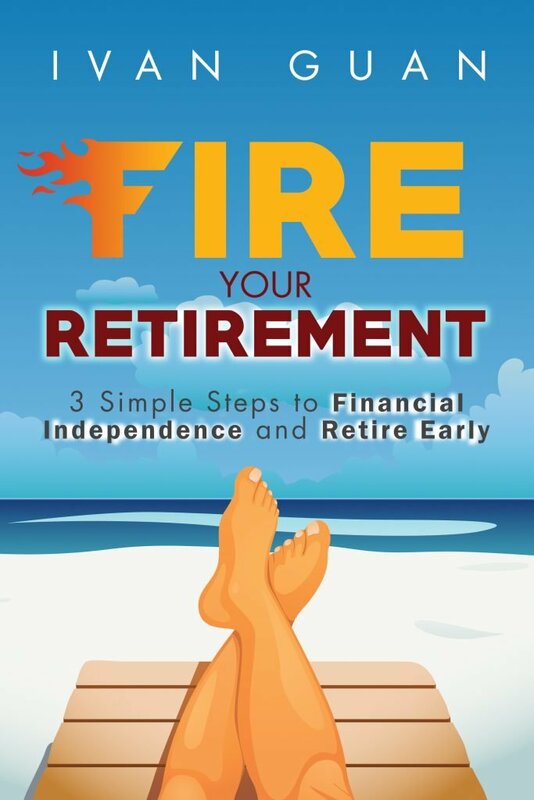 I just started reading many things on retirement plans, savings account, cpf, etc. To be honest I want to retire by 50. If not 55. I got many questions, some questions like what should I do once I start working? The money I save from my income in the future, where should i put it in? retirement plans(like this 3)? insurance? savings plans? actually i am pretty new with all this. Thank you if you could help me a little. You may want to go through a financial planning with a qualified financial planner. You can contact me using the online form on this page. Or buy a retirement plan,I am 58 years old. At age 58, it will be more suitable for you to purchase an annuity plan which pays you perpetual income. It also depends on what other plans you have now and when you want to start receiving the retirement payout. Thanks for the article. 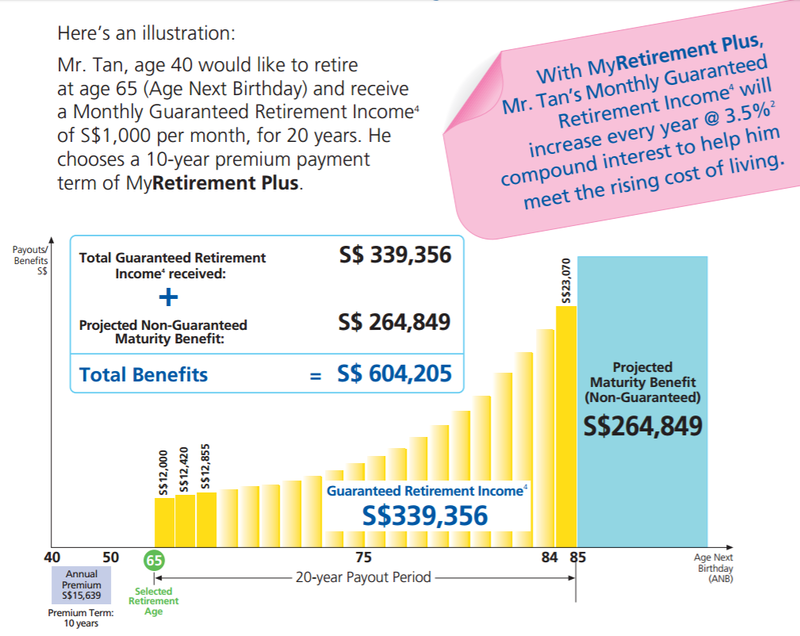 Would like to know – will say $100K (in excess of Retirement Sum) do better in CPF OA or in a good retirement plan? Hi Lindy, the return depends on a few factors. Please contact me directly so I can work out the figures for you. What is your view on Prime Life Rewards 5 from GE? I am 54 and planning to retire at 62 years old. You should choose the plan based on the projected return indicated in the benefit illustration (BI) because the number never lies. If you can send me the BI, I can give you some comments. Hi, can I have your view on AXA Pulsar? Is this good for retirement? Hi Cheng Hui, AXA Pulsar is an investment linked policy, not comparable to the retirement plans mentioned here. If you need further advice, please contact me via the online form above. I saw that 2 out of 3 plans use examples of person > 40 y.o. Just wonder if these plans are applicable for my case 35 y.o. I was recently introduced to Manulife SmartRetire sold via DBS. But I could only find some information on DBS website but not Manulife (only Retireready is available here). Do you know of this SmartRetire product? Thanks. SmartRetire is an investment-linked policy (ILP), not a retirement plan. There are retirement plans catered for the age group of 30s, you can contact me using the online form above for more information. I am new to investment, I am afraid but i also subconsciously know i need to invest, i wanted to invest through bank but i do not have any knowledge in this area and courage to do so, so i decided to just go for insurance company for now. I am 28 now, how much do i need to fork out monthly if I wish to retire between 50 to 60? How much you need to fork out depends on how much you want to withdraw after your desired retirement age, you can submit a retirement discovery meeting request using the form in this post and I will get back to you. I have no idea nor do i know if there is a way to calculate future inflation or how to estimate how much the inflation will be, but is it reasonable to say if i want to withdraw the same value currently of about 1.5k per month at least at the age of 50? If you are only 28, 1.5k at age of 50 (even after inflation) is very achievable. You are suggesting buying the plan with SRS. I am 62 now, what is the implication, I thought SRS funds have to be rewithdrawn within 10 yrs of reaching 65. What happens if you buy retirement plan with srs funds? 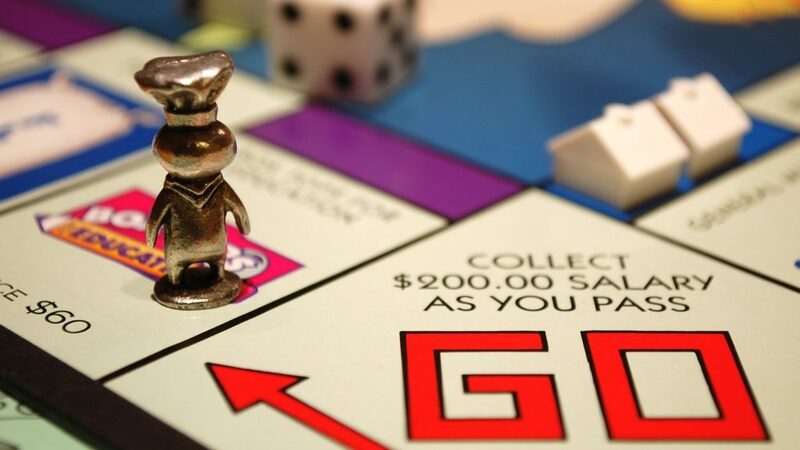 If you use SRS to purchase a retirement plan, the proceeds will be returned to your SRS account. Since you are already at age 62, you need to do a proper planning for the retirement income drawdown, it is not so straightforward. I’m turning 54 this year, is it too late to purchase a retirement insurance plan? What is the amount I need to pay if I start at this age and what kind of plan would you suggest? It is still possible to structure a retirement plan, but you need a reasonable capital to make the return more meaningful. how much retirement income are you looking at? What is the pro and con of using cash VS SRS to pay for the premiums? It would seem to me SRS would be a better option as cash goes into SRS and SRS helps to offset tax. Did I missed anything out? Under the current framework, only single premium retirement plan is available in SRS account. It makes sense to use SRS to purchase a retirement plan if you have already accumulated a substantial amount. For regular premium plan, you still have to use cash. Is it necessary to have a few retirement plans (eg. all 3)? Or 1 retirement plan is good enough? Hi Alice, it is not necessary to have multiple retirement plans at the same time. You should choose the plan which gives you the best return at the time of purchase. However, you can consider to add new plans along the way if there are more innovative or better products. The insurers generally share similar principles. 1. If the policyholder dies before the start of retirement age, the insurer will pay 101% or 105% (depending on the policy) of the premium paid + accrued bonuses. 2. If the policyholder dies during the payout period, the insurer will pay the sum mentioned above – what is already paid to the policyholder. Of course, each insurer has slightly different terms, which are clearly stated in their policy contracts. Premium payment period: 10 to 15 years. Avia myretirement plus work on kids ? Yah, I do this way for some of my clients. This works if you can time the retirement payout period and needs for children’s school fee nicely. What do you think of maximising CPF life for retirement, ie to save 249k by 55 years old in the RA? How is it comparable to the products on the market and what are the caveats to committing this sum in cpf, other than the inflexibility that withdrawal can only be made at 65. Maximising CPF life is one good strategy for your retirement planning. The return is competitive compared to other options in the market now. However, how much you contribute to CPF should depend on your other stream of retirement income. It is always good to have a diversified source of income than betting everything in CPF. As you are aware that CPF is inflexible and the withdrawal can only be made at 65 (for now). You should have at least half of your retirement funds in other sources. I think in Hannah’s scenario, one can withdraw any amount above FRS amount at 55 and not at 65. i.e. after transferring some OA and SA to RA, can have the option to withdraw the leftover OA and SA. I am 34 this year, going to start contributing max 15300 yearly to SRS and only want to use this 15300 SRS (I.e. not cash) for such retirement plan, and plan to receive the payout from 55 years old onwards? Which one will u recommend ? Please use the contact form below to reach out to me if you need specific product recommendation. I have bought an investment-linked policy 15 years ago and was told recently that the final returns in the policy will be eroded and become negative as i aged. Please share recommendations. Policy covers whole life and critical illnesses. Buying/Transferring of policy would be expensive as it is calculated based on my current age, 48. What are your financial objectives now? Nice Article . Thanks for sharing this post. Thanks for sharing your analysis with us, I learned a lot reading your blog. Could you shortlist/compare a few good products based on parameter below? 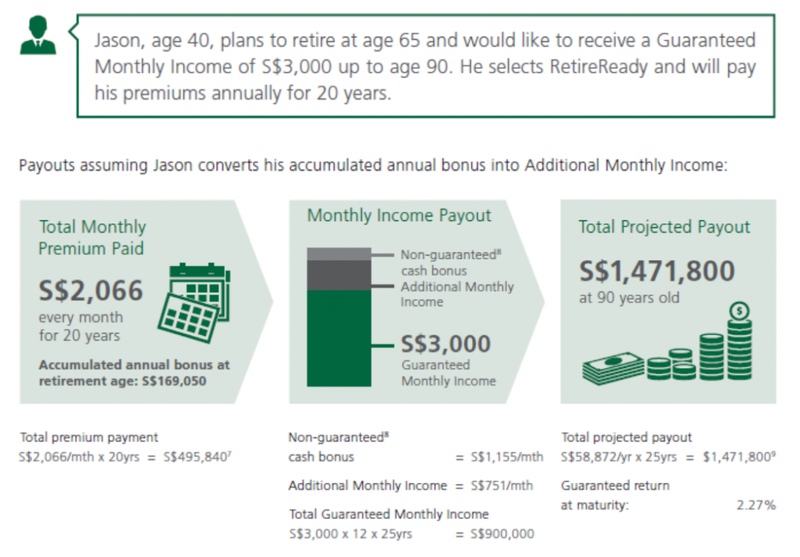 Age: 40, Retirement age: 55, target retirement income: min $500 monthly, capital guaranteed. Thank you for your kind comment. You can leave your request in the form below this post. 3) Hold on to my present flat and pay 1K/monthly premium? I’m 59 this year and exploring applying for HDB’s present BTO launch which closes this Wednesday 24 May 2017. In this case, we need to look at your other income generating resources and do a holistic planning. Whether you want to downgrade your HDB is both an emotional and financial choice, it could be a smart move if it increases your retirement income and enhances your retirement lifestyle. How do you feel about Tokio Marine Retirement Secure plan? As i heard it was quite good in the market. Hi Ivan, out of the 3 plans, which has the best return? Is it the Aviva one? The return is based on the parameters of your retirement plan, like your current age, retirement age, premium payment period and income payout period, etc. Each combination will perform differently. Thank you for your sharing. I was just wondering, what are your thoughts about Pruweath as a retirement plan as compared to the three plans you mentioned? Pruwealth is an interesting plan. The concept is good, but you have to work out the sum. If you have a specific projection of Pruwealth, I have help you compare the returns. Would you recommend AIA Platinum Pro Secure as a retirement plan? AIA Platinum Pro Secure is an investment-linked policy so the return is not guaranteed. The products mentioned in this article all have guaranteed returns. So they are not comparable.